We’re back, but with a different name and on a different site! 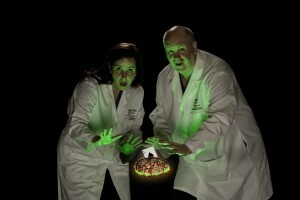 Come see us at Illusion Chasers, the new daily blog on the MIND Network at ScientificAmerican.com! See you there! We’re happy to announce that our blog has been chosen for the scientificamerican.com website, and we’re moving there this week. We’ll send an announcement here and also on facebook, google+, and twitter, once the move is finalized. Thanks for reading our blog! Watch us pull a card out of your brain! We were thrilled to join world-renowned magicians James Randi and Mac King for an evening of science and magic! Las Vegas is coming to Phoenix for a rare star-studded event that will mix the world’s greatest magic with the mysterious science of the brain. International-renowned magicians Mac King and the Amazing Randi will take the stage along with brain scientists from Barrow Neurological Institute in an evening titled “Magic and the Brain.” The September 17 charity event at Phoenix Theater will showcase the unusual partnership between scientists at Barrow and magicians who have traveled to the Institute to help medical researchers better understand the way the brain functions and how it is tricked. Barrow, located at St. Joseph’s Hospital, is celebrating its 50th Anniversary and today does more brain surgeries than any hospital in the nation. The unusual medical research has been led by Drs. Susana Martinez-Conde and Stephen Macknik. Mac King, who headlines in Vegas at Harrah’s and the Amazing Randi, who is the world’s Elder Statesman of Magic, will perform as the researchers try to explain the unexplainable.your brain. Every Friday we discuss how neuroscience is portrayed in fiction. 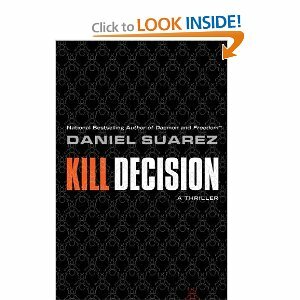 This week we’ll be discussing Daniel Suarez’s new book, Kill Decision. It’s the story of what would happen if evil entities high up within the military industrial complex developed autonomous unmanned war machines and imbued them with a simple algorithm: behave like a weaver ant. It’s a fantastic premise that thoroughly imagines just how fearsome a swarm of inexpensive, simple-minded, toy-like helicopters would be if they were armed and given the territorial sensibilities of the most warlike animal on the planet. The plot orbits around the idea that the evil industrialists, having now invented and perfected the new wave in warfare, must first create a market, which is accomplished by using more traditional (but still autonomous) unmanned aircraft to attack civilian targets around the globe and in the US. They plant false clues to incense nations that are already unfriendly with each other, which lead them all to demand their own autonomous air forces. Autonomy is key here because current unmanned aerial vehicle (UAV) technology requires a human in the loop to make final decisions about what kill, but radio communications can be blocked, meaning that it is inevitable that machines much be given the ability to make their own decisions about targets if unmanned warfare is to continue to evolve. Weaver ants are modeled as the basis for the autonomous warfighter’s mind because that’s basically what individual weaver ants are. And their success as species having a total worldwide biomass equivalent to humans proves that the algorithm describing their behavior is a winner. I’ll leave you to read the book for more neuroscience details. The book reads like a Michael Crichton thriller, and along with Suarez’s other outstanding thrillers Daemon and FreedomTM, Kill Decision places Suarez in position to pick up the mantle of the late Crichton. In fact, as a true expert in the systems he writes about (Suarez is a computer engineer), Suarez brings an unmatched sense of realism and immediacy to his stories. A terrific, exciting, and chilling read. We just had a wonderful surprise: a research paper that we published last year received the 2011 EyeTrackAward, an international science prize that “recognizes research and projects that have generated new knowledge and insights by using eye tracking technology”. The award-winning paper, titled “Distinctive Features of Saccadic Intrusions and Microsaccades in Progressive Supranuclear Palsy“, was published in 2011 in the Journal of Neuroscience by Jorge Otero-Millan, Alessandro Serra, R. John Leigh, Xoana G. Troncoso, Stephen L. Macknik and Susana Martinez-Conde. In this research, we studied eye movement abnormalities in Progressive Supranuclear Palsy, a neurological disease that is often misdiagnosed as Parkinson’s disease. We hope that our study’s results will enhance early diagnosis PSP, lead to accessible approaches by which eye movements can be used to evaluate treatments, and provide insights into the pathogenesis of this devastating disorder. Wednesday is Illusion Day. Every Wednesday, we feature a contemporary illusion, or a variation on a classic illusion. This week’s pick is a wonderful example of anamorphic art, by French artist François Abélanet. Anamorphic illusions only work from a particular vantage point. 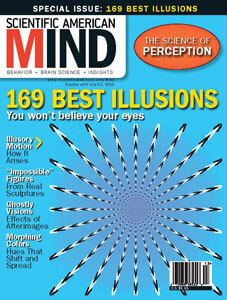 Check out our Scientific American Mind slide show on impossible sculptures, for 3D renditions of impossible figures and other illusions that depend on a specific viewing angle. Think that your eyes are bigger than your stomach? Well, actually, yes… they are. The Portion Size Illusion is a new variant of an old classic illusion called the Ebbinghaus illusion, in which a circle surrounded by smaller circles looks bigger than the same circle surrounded by bigger circles. It shows that, to your visual system, everything is relative. In the new foodie-friendly recipe, your brain is fricasseed, and your mind is served up on a platter, when the same serving of food appears in different sizes by virtue of the relative size of the plate. Use this illusion at home to make yourself feel like you’re eating like a pig, when in reality you’re just using a smaller bucket. Change blindness, our failure to detect changes in a scene that should have been (but weren’t) obvious, is a common occurrence not only on the magic stage, but it in real life, too. The San Francisco Exploratorium has now produced a spectacular demonstration (below) of cumulative change blindness. Unnoticed changes pile up on a San Francisco street scene during brief blinks, until there is nothing left of the original picture. Also, check out Sleights of Mind for more spectacular examples of magical and everyday change blindness. Have you experienced change blindness in real life? Post a comment here and let us know. Blink. Did Anything Change? By Kenneth Chang: First, play the video to see if you notice any changes. Then, play it again, but this time grab the playhead with your mouse and scrub through the video to see all of the changes. Yesterday we were talking about the memory palace of Tom Meseroll, the Master of Martial Magic, so it is fitting that this week’s Neuroscience in Fiction pick features a fictional memory palace: the mansion of reminiscence at the center of Hannibal Lecter’s brilliantly twisted mind. The memory palace was a mnemonic system well known to ancient scholars and much information was preserved in them through the Dark Ages while Vandals burned the books. 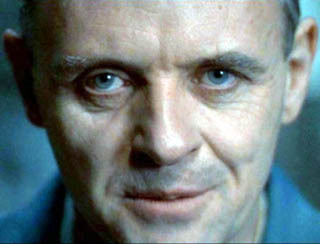 Like scholars before him, Dr. Lecter stores an enormous amount of information keyed to objects in his thousand rooms, but unlike the ancients, Dr.Lecter has a second purpose for his palace; sometimes he lives there. He has passed years among its exquisite collections, while his body lay bound on a violent ward with screams buzzing the steel bars like hell’s own harp. Hannibal Lecter’s palace is vast, even by medieval standards. Translated to the tangible world it would rival the Topkapi Palace in Istanbul for size and complexity. We catch up to him as the swift slippers of his mind pass from the foyer into the Great Hall of the Seasons. The palace is built according to the rules discovered by Simonides of Ceos and elaborated by Cicero four hundred years later; it is airy, high-ceilinged, furnished with objects and tableaux that are vivid, striking, sometimes shocking and absurd, and often beautiful. The displays are well spaced and well lighted like those of a great museum. But the walls are not the neutral colors of museum walls. Like Giotto, Dr. Lecter has frescoed the walls of his mind. He has decided to pick up Clarice Starling’s home address while he is in the palace, but he is in no hurry for it, so he stops at the foot of a great staircase where the Riace bronzes stand. These great bronze warriors attributed to Phidias, rased from the seafloor in our own time, are the centerpiece of a frescoed space that could unspool all of Homer and Sophocles. Dr. Lecter could have the bronze faces speak Meleager if he wished, but today he only wants to look at them. A thousand rooms, miles of corridors, hundreds of facts attached to each object furnishing each room, a pleasant respite awaiting Dr. Lecter whenever he chooses to retire there. Fearfully and wonderfully made, we follow as he moves with a swift stride along the corridor of his own making, through a scent of gardenias, the presence of great sculpture pressing on us, and the light of pictures. His way leads around to the right past a bust of Pliny and up the staircase to the Hall of Addresses, a room lined with statuary and paintings in a fixed order, spaced wide apart and well lit, as Cicero recommends. Ah… The third alcove from the door on the right is dominated by a painting of St. Francis feeding a moth to a starling. On the floor before the painting is this tableau, life-sized in painted marble. A parade in Arlington National Cemetery led by Jesus, thirty three, driving a ’27 Model-T Ford truck, a “tin lizzie,” with J. Edgar Hoover standing in the truck bed wearing a tutu and waving to an unseen crowd. Marching behind him is Clarice Starling carring a .308 Enfield rifle at shoulder arms. Check out Sleights of Mind for our thoughts on the intersection of magic and memory. We also recommend Moonwalking with Einstein, Joshua Foer’s account of becoming a memory champion through intensive training in mnemonic techniques, such as the memory palace (also known as the method of loci). Or read The Memory Palace of Matteo Ricci by Jonathan Spence, about the Italian Jesuit priest who taught this method to 16th century Confucian scholars in China. Magicians sometimes perform seemingly impossible feats of memory, for instance, to remember the order of a “randomly shuffled” deck of cards. To accomplish this, they use well established mnemonic techniques, such as the “memory palace” also known as the “method of loci”, in which specific objects (such as cards) are assigned to specific locations in space (for instance, objects in the rooms of one’s house, or along a familiar street). 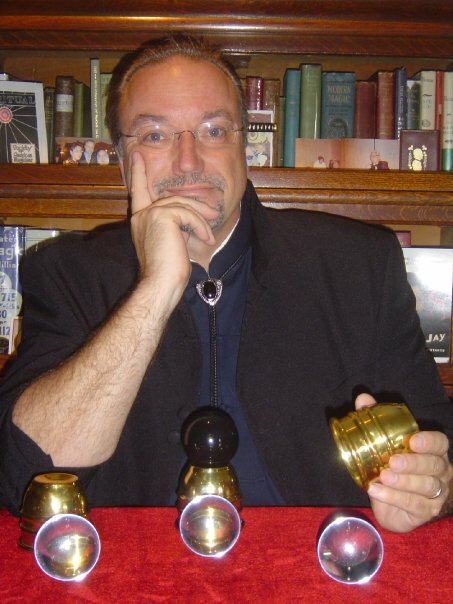 Today we have a special treat: our friend Tom Meseroll, the Martial Magician, describes his memory palace, and some historical background, below. The order of cards in Tom’s deck is not actually presented accurately … to protect the innocent… and some of Tom’s favorite magic. As recounted by Cicero inhis De Oratore,while the poet Simonides attended a banquet in Thessaly, he received a message that two men wanted to see him outside the building, so he excused himself to speak to them. While outside, the roof of the banquet hall fell, crushing the diners to death. The bodies were mangled beyond recognition, and the relatives and friends did not know who was who. Simonides remembered each dinner’s exact place, however, and therefore was able to identify the dead for the relatives. Cicero inferred that persons desiring to train this faculty (of memory) must select places and form mental images of the things they wish to remember and to mentally assign those images to the place, so that the order of the places will preserve the order of the things, like a wax writing-tablet and the letters written on it. Cicero also provides a description of the mnemonic of places and images (loci and imagines) which was also used by the Roman rhetors. The method of loci (what is now known as creating a memory palace) was actually a memorization technique used by orators to enable them to deliver very long speeches from memory with unfailing accuracy. The first step in creating a Memory Palace is to imprint in your mind a series of loci or places. 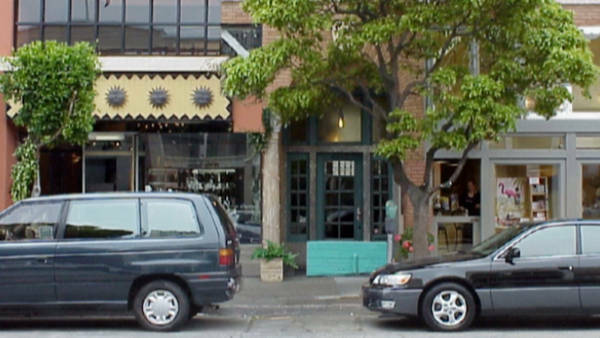 Most frequently people used architectural types, like rooms or buildings on a street. According to Quintilian, “a building is to be remembered, as spacious and varied as possible, the forecourt, the living room, bedrooms, and parlors, not omitting statues and other ornaments with which the rooms are decorated.” According to Quintilian, these images are then used as an anchor, in which portions of the speech are associated with the images of the building. “This done, as soon as the memory of the facts requires to be revived, all these places are visited in turn and the various deposits are revived from their custodians.” So the ancient orator is moving his imagination through his memory building whilst he is making his speech, drawing from the memorized places the images he has placed them. This method also ensures that the points are memorized in the right order, since the order is fixed by the sequence of places in the building. Now the formation of the loci is of the greatest importance, for this same set of loci can be used again and again for remembering different material. Some people recommend that in order to not err in remembering the order of the loci it is useful to give each fifth locus some distinguishing mark. I have tried to do this so I can know the number of where all the cards are… I will show you what I mean as I walk through my palace. My memory palace is a walk home from my high school through the woods in New Jersey to my parents’ house. I always knew that if I was going to expand my palace beyond 52 cards, I would need to walk into my parents’ home and create a bigger palace. I came up with this idea for my palace after my parents both passed away, and I knew we would be selling the house and I would never go to that neighborhood again, and I wanted it burnt into my memory. I enter the woods coming home from school and see the “LARGE BLACK PIPE (10 d)” that is a water drain into the creek. I turn to the right and see the “TILE TRAIL (q s)” thru the woods where I kissed my first girl. I start towards the left and see the “ TERRACOTTA TURTLE (7 c)” leftover from the old park. The “THREE SKINNY TREES (j d)” are just beyond the turtle. As I walk down the trail through the woods I see “OUR OLD TREE FORT (10 s)” off to the left. I walk further along the creek and see a “REAL TURTLE (8 c)” in the water. I walk underneath the “HIGH TENSION POLE (k h)” and across the creek where there is a “BIG TREE WITH a HEART CARVED in it (9 s)”. I walk a little further and see the bridge to my right with “NINE PLANKS ACROSS THE BOTTOM (5 h)” and “TWO SIDE RAILS (q h)”. I look across the bridge and remember “MY FIRST GIRLFRIEND, KYLE (2 s)” lived on the other side. I turn towards the street into my parents neighborhood, and see the first house to the right where some “RITSY PEOPLE LIVED (j c)” and I remember the lady there was very mean (2 d). I walk further up the street and see “A TREE TO THE RIGHT WITH ANOTHER HEART CARVED IN IT (8 s), and just beyond that the fence starts with “SIX DIFFERENT SECTIONS “ (8 h), and “FIVE BEAMS IN EACH SECTION (9 h)”. I walk further and take a right towards home, the “FIRST HOUSE ON THE LEFT WAS THE HORGAN’S WHO HAD 9 KIDS (5 s)”, and across the street from the Horgan’s was my not-always friend “CURTIS, WHO STOLE MY FIRST GIRLFRIEND (he is the a d)”, and he bought her a “DIAMOND RING (q c)”, and he had a brother I liked, “JAMEY (3 s). I continue walking and see the neighborhood “MAILBOX (j h)” where I once put “EIGHT LIMES IN (6 h)”. I keep walking and the “HOUSE ON THE RIGHT LIVED A GIRL I BRIEFLY DATED (8 s)”. The next “HOUSE OWNED BY THE PICHALESIS (4 d)”. The “HOUSE NEXT, THE SWEENEYS, HAD A GIRL I LIKED (9 c)”, and her “DAD (a c)”. Behind their house was Green Acres golf course and the “ TWELTH TEE (q d)” and just to the right of the Tee was a large “SANDTRAP WE USED TO PLAY IN (j s)”. Looking over the golf course from there I see “THIS REALLY TALL TREE I REMEMBER SOMEONE BUILDING THE HIGHEST TREEFORT I EVER SAW (6 c)”. To the left of the Tree as I head back with my mind into the neighborhood from the course I see “FIVE PALM TREES WHERE I USED TO HIDE IN AND PRETEND TO PLAY STRIP POKER WITH A GIRL IN 6th GRADE (9 d)”. “I (a d)” am in the trees playing cards. I walk back into the neighborhood and “THE FIRST HOUSE ON MY RIGHT BELONGED TO ROSS A HEMOPHELIAC (3 c)” I walk up the street and the next house is “THE HOUSE I USED TO CUT GRASS AT (6 d)” . And the “NEXT HOUSE IS THE DALTON’S (4 h)”. I walk further up the street and to my right is “THE ROGER’S HOUSE WHERE A DEAR FRIEND OF MINE LIVED WHO HUNG HIMSELF (a s)”. I keep walking and the house next to the Roger’s was my doctor’s “THE KRESSLER’S (3 d)”. Across from the Kressler’s was the little “ABANDONED HOUSE WHERE WE USED TO PLAY SEVEN SECONDS IN HEAVEN (7 h)”, and beyond that was “OUR SANDLOT FOOTBALL FIELD (4 s)”. At the top of the field, just before Route 206 was a place where a kid named “BEAST (k c)” tried to sell me a diamond ring, in the “FOUR LARGE PINES (j h)” there. I cross 206 and am now on Rider University land. The first building I see is the “LIBRARY WHICH HAS A LARGE CLOCK ON TOP SET TO 7 (7 s)”. I walk to the left of the library to the student center and into the building where I see a “BOYSTATE GUY (10 c)” making out with “MY FIRST GIRLFRIEND-now the (k d)”, and it is now in the evening “NINE O’CLOCK (5 d)”. I move on and the next building is the chapel where I knew the Priest, “FATHER JEREMIAH (3 h)”. I now start heading back home along sorority row, the first sorority I pass is the “TRI-DELTs (2 c)” and then the “THEATER (7 d)” is on my right. The next sorority is the “FRATERNITY SWEETHEARTS (2 h)”. I walk to the end of the street and see the “STREET SIGN (4 c)” for my street, Twin Oaks Drive. I cross 206 and walk back into my neighborhood and onto my street and to the right are “SIX LARGE PINES with much history (8 d). I walk down the street to where my parents live, “MY HOUSE (k s), and it’s “ADDRESS IS NINE TWIN OAKS DR (5 c)”. Pretty impressive, right? Check out Sleights of Mind if you’d like to know more about the intersection of magic, mnemonics and neuroscience. Also, take a look at the trailer for Joe Gold’s film “Desperate Acts of Magic”, where Tom Meseroll and his daughter Melina perform a martial magic trick known as the Sightless Samurai, where Tom, blindfolded, slices a watermelon in half on a volunteer’s stomach with a samurai sword.